This post is not much different looking than my last post from ONE YEAR AGO. Yes, thanks to my full embracement of Instagram, I no longer blog. 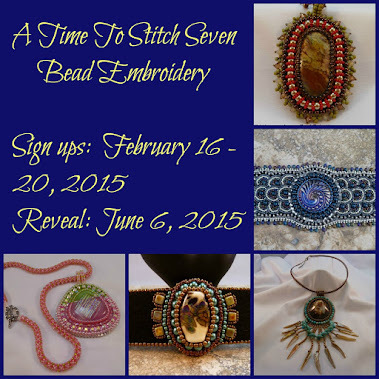 I swear to certain people that I have not given up on blogging (You know who You are), but the dates prove otherwise. Will I return? Does it matter to anyone since most of us are connected on Instagram and Facebook? Je ne sais pas. But that is not what this post is about. 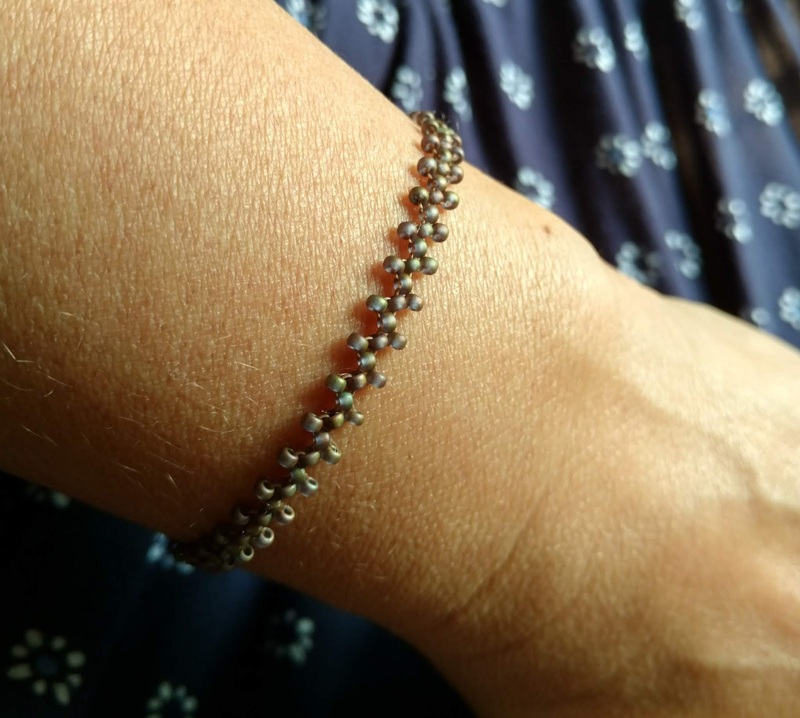 The post is about my simple zig zag seed bead C-Lon thread bracelet that I wove onto my wrist 2 YEARS AGO YESTERDAY! I cannot believe the staying power of this little sweetie. Sun, shower, soap, gloves, sleeves, lake water, salt water, chlorine, moving The Bug in and out of dorms several times ~ the abuse this thing has seen! And still it holds on. This is not the most exciting picture I will ever post, nor is it a piece of jewelry to oooh and ahhh over. It is simple...in color and design. A year ago this past weekend, on June 17, 2016 I packed for a Maine vacation. I was exhausted and worried I wouldn't sleep. The night before a trip is always a sleepless night. BirdMan was next to me in bed, watching a movie, passing in and out of sleep. 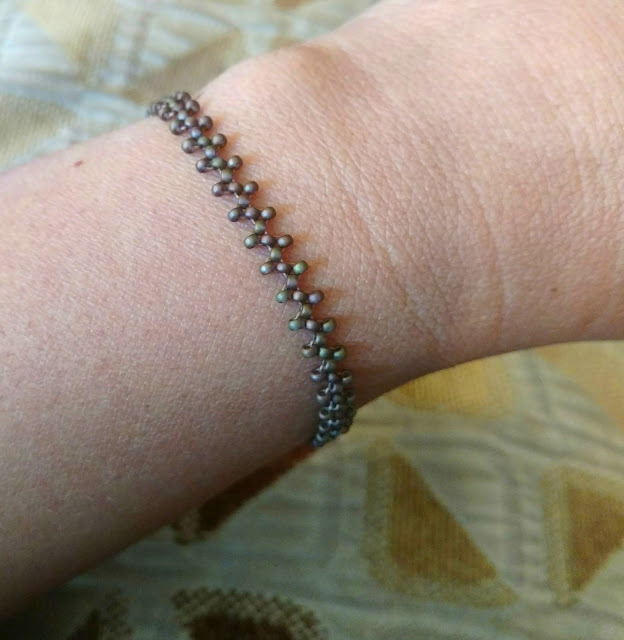 I got the beads out and beaded this dainty little zigzag stitch right onto my wrist. No clasp, no beginning, no end. 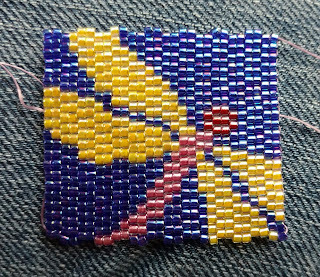 He didn't even know I was weaving until I sparked the lighter to burn the thread ends a bit. I figured it would last for the week we were in Maine and fall off, but nope. Then late August came and we moved The Bug to college and I knew it would break off that day, as we loaded and unloaded a seemingly endless truckload of boxes. I had a premonition that she would find it in the stairwell and use it as a bookmark. But when we arrived home that night, it was still on my wrist. Once September 17th rolled around, I couldn't believe the C-Lon thread endured a whole season of chlorine pools, freshwater glacial lakes, the salty Atlantic Ocean, and lots and lots of sunshine. And I started to mildly mourn, as I knew the end must be near and I would no longer see it on my wrist. But months passed. 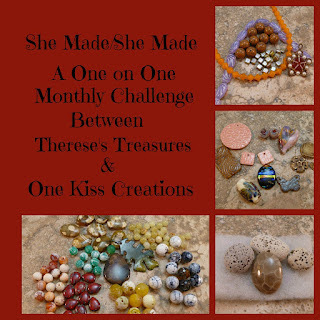 And on the 17th of each month, Sunshine Girl would tell me that if it lasted a year, I had to do a blog post about it. 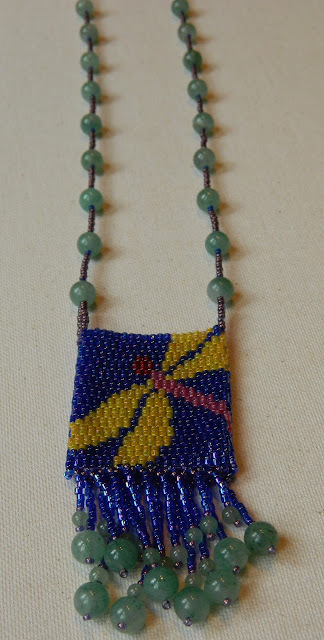 So Here We Are ~ Me, Miyuki Seed Beads, and C-Lon Thread ~ One Year Later. 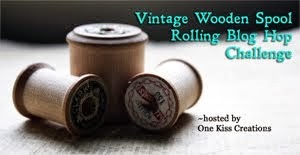 A few times over the past year, I said, "If I knew it was going to last so long, I would have made something fancier or used red or black and gold or something with a bit of punch to it." 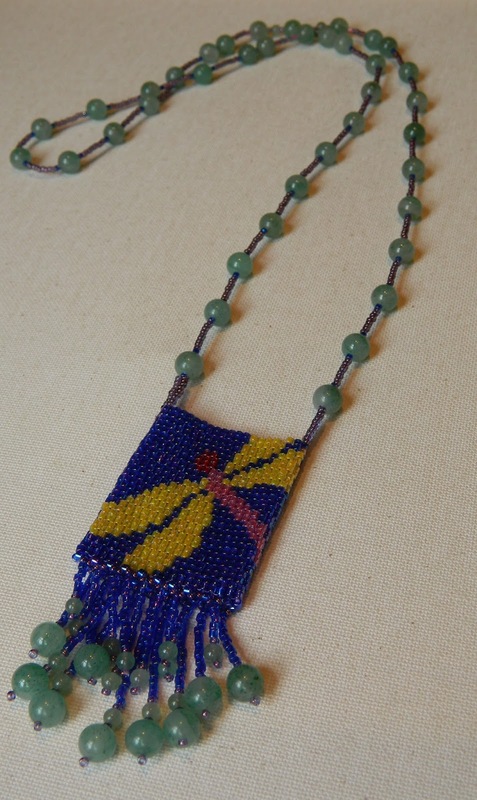 Sunshine Girl insisted it was the perfect color and the perfect stitch and nicely understated for everyday wear. 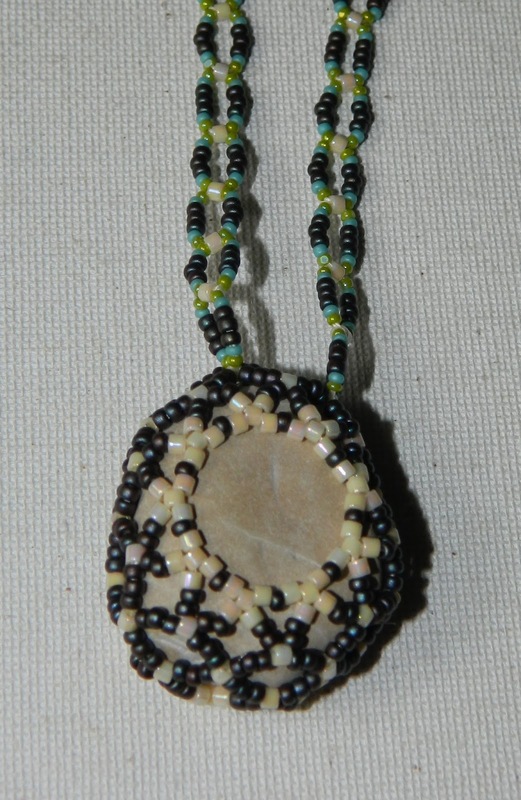 The beads and the C-Lon look as good as they did the night I made it. No wear, no stretch, no fray, no discoloration. I wonder if the end is near or if I will be writing a two year post? I went out Treasure Hunting with my Dear Friend and her Mom. 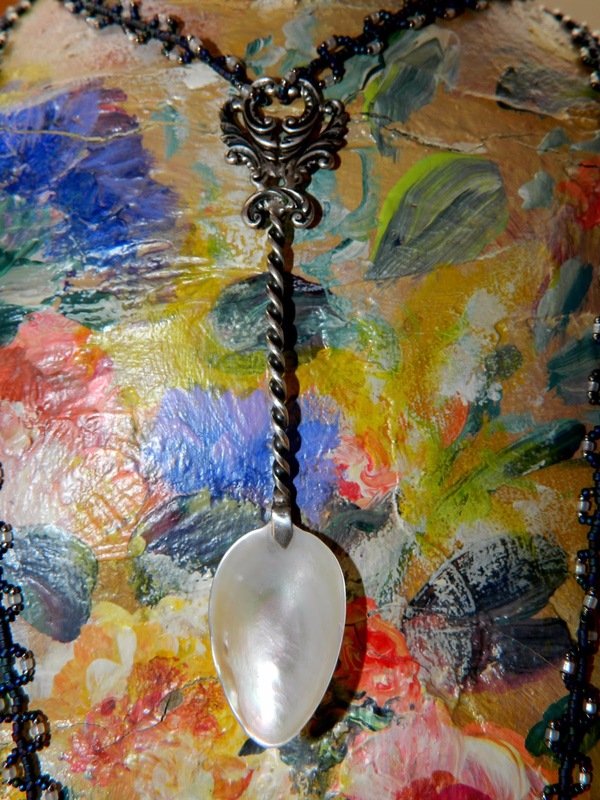 One of the places we stopped at had this little sweetie ~ Mother-of-Pearl and Sterling Silver and the price was just right, so it came home with me. The iridescence on the M-O-P is quite beautiful, though the camera had difficulty capturing that soul. Fleur was so proud to wear this for a bit! She often steals the spotlight from the jewelry she models, but we were able to make her beautiful colors work with this photo. My initial thought was to make as skinny a spiral rope as I could possibly make as the neck strap and to make it L O N G to triple it around the neck. I wanted it to mimic the look of the spoon handle. By the time I got a mere 2 inches into weaving the chain, it was apparent that the chain was going to distract from the spoon. So I went light and lacy instead. At this point, Fleur was quite perturbed when I covered her up for this picture. She doesn't ever feel the need to hide her colors. She let me snap this one picture then she abruptly ended the shoot. Diva. You still cannot see the gorgeous iridescence in this photo, but rest assured it is there! 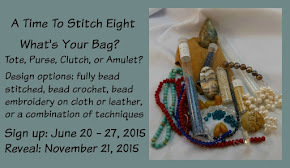 Karen Williams put out the call for another UFO Blog Hop and I signed up again. I had another four projects in mind, but only got one done...and it wasn't even one of the four I had planned on doing. 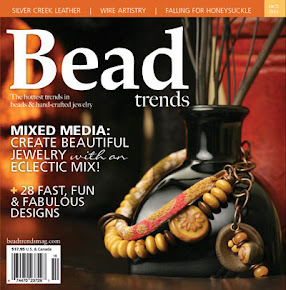 Ain't that the way beading usually goes?! 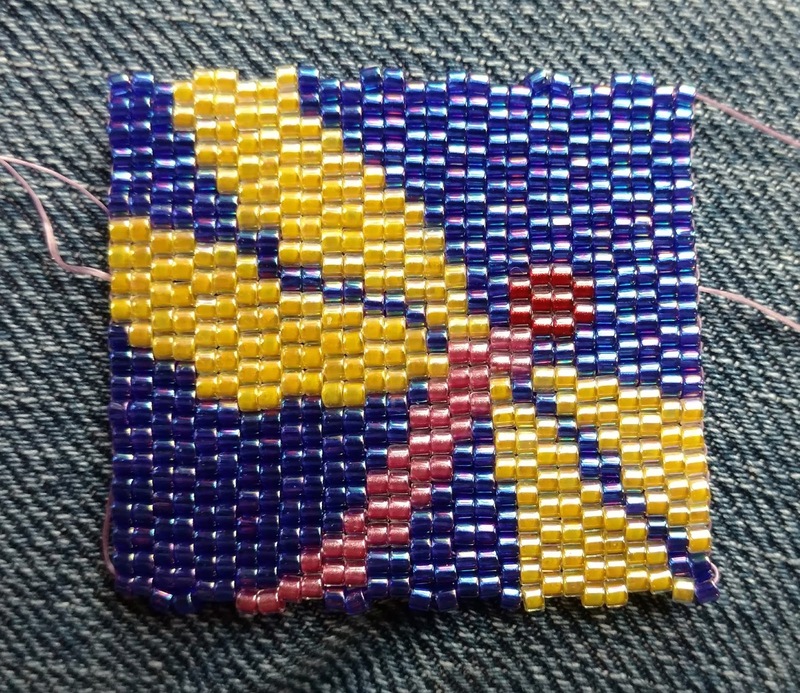 A while back, I made this square to send to Amy for her Bead It Forward event. My square turned out too big to send, as I used size 10 Delicas instead of size 11 Delicas. So this botched square just floated around my workshop and house, with no particular purpose. I came across it a couple weeks ago and thought, "Hmmm, I think THIS will be my UFO project!" 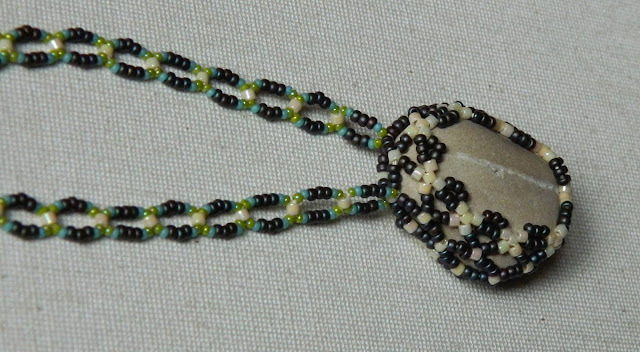 I've been beading rocks like my sanity depends on it. And I do believe it does. 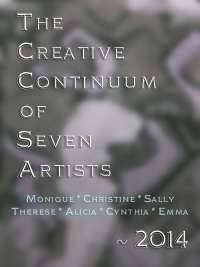 I am currently working on something different from what I have done before. If it works out, I'll post it in the next couple weeks. It will either be a Hump Day post or a WhatTheFriday?!? post, depending on how confident I feel about it when it is complete. These are two of the better ones from the past week. Lake Michigan quiet beauty. Side A.
Gram's Button, Lake Michigan Rock, Netting, Miyuki Seed Beads and Delicas. Side A ~ those lines! Side B ~ lots of lines and a little pothole. 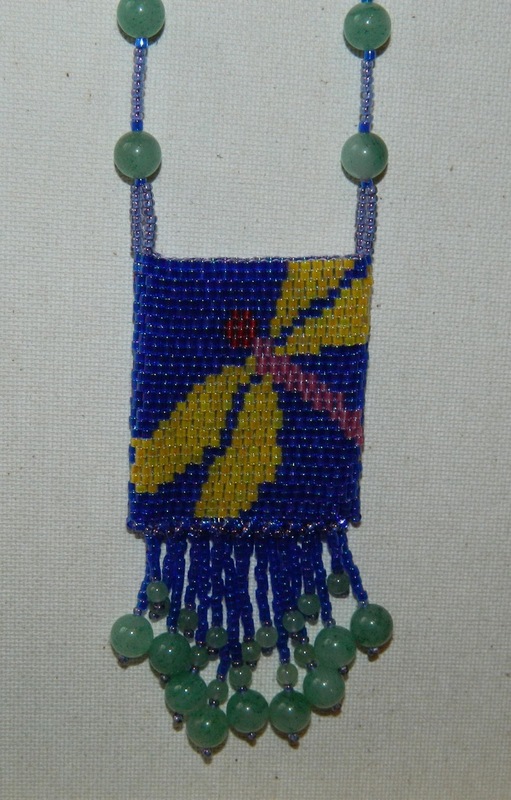 Gram's Button, Lake Michigan Rock, Ladder Stitch, Peyote Stitch, Miyuki Seed Beads and Delicas, Bugle Beads. I always bead with an A Side in mind, but often B becomes the A Side for me. In my youth, I bought 45's by the dozens at Sam Goody's. I'd come home excited at the prospect of blasting Bruce Springsteen's "I'm Goin' Down" over and over and over again until the record was too scratched and warped, only to find the B Side ~ "Janey, Don't You Lose Heart" ~ was a MUCH better song. Same with buying "Cover Me"..."Jersey Girl" was the B Side. Come on...no contest! My music taste has evolved, but my being seduced by the B Side of ANY item is as consistent as the day is long. Say It With Me : Rocks off On Hump Day! 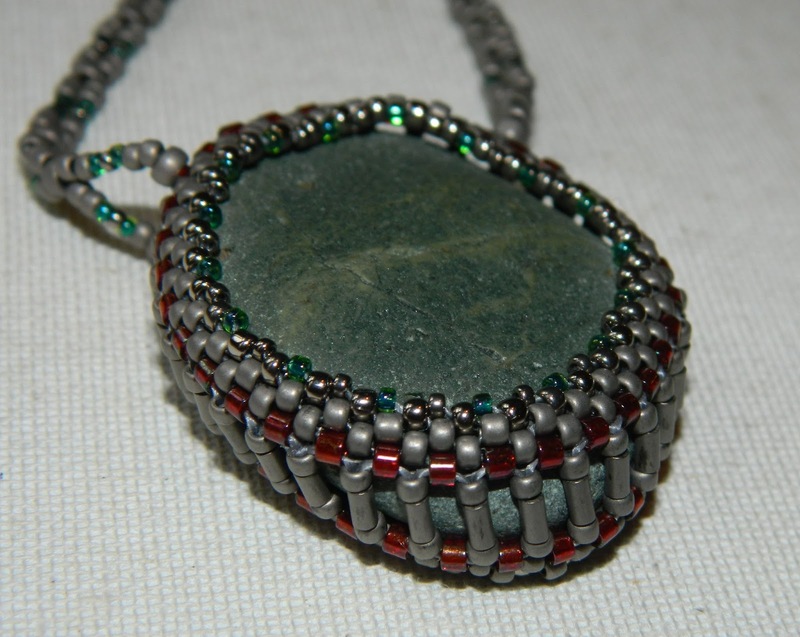 The weeks since the last post have been rough, so when I set my hands to beading again, I had to use rocks. They are healing. And we all need healing, whether times are good or bad. We all need healing. 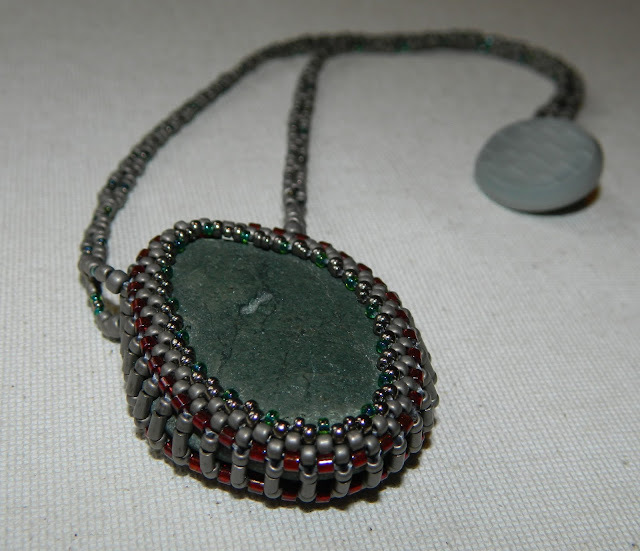 Settling into rocks, Gram's buttons, simple beading...I feel like I belong in this space, with these materials, using these techniques. It is not elaborate. The materials are not expensive. 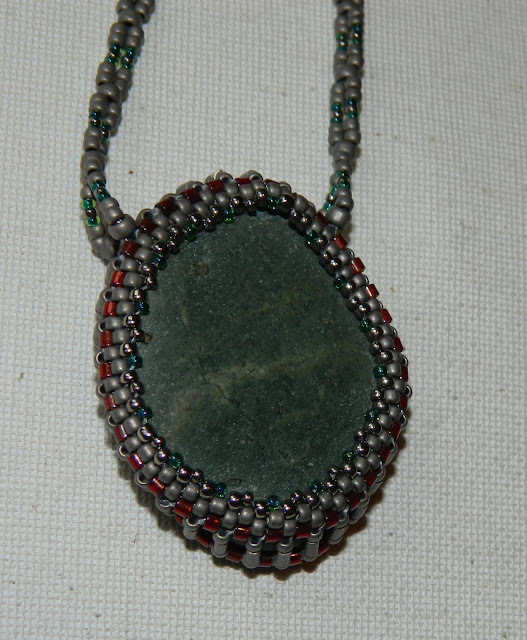 Each rock is a bit of a puzzle as to how I am going to bezel it. 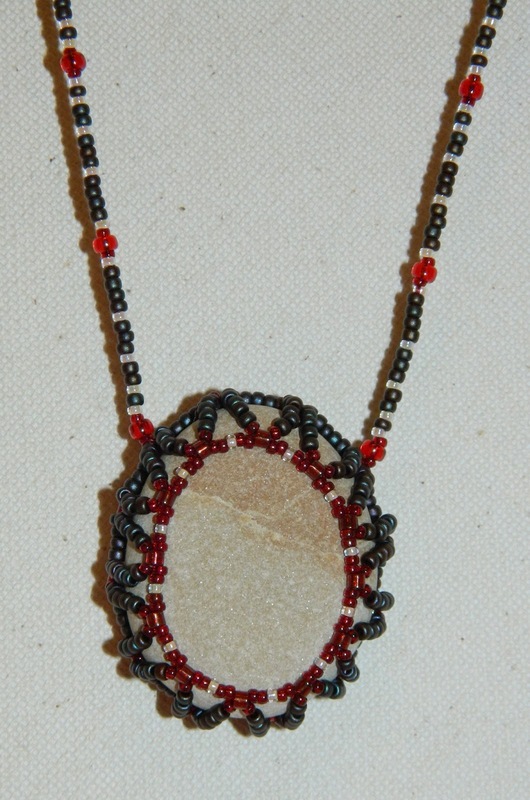 The chains take ten times as long as the bezel because I can never decide how I want the beads to go together. But in the end, I am soothed and happy with the rock necklaces I create. When I started out, that line down the center excited me. So I considered this the A-Side. But then the B-Side really started to grow on me. Lake Michigan Rock, Miyuki seed beads and Delicas, charlottes, Gram's button. 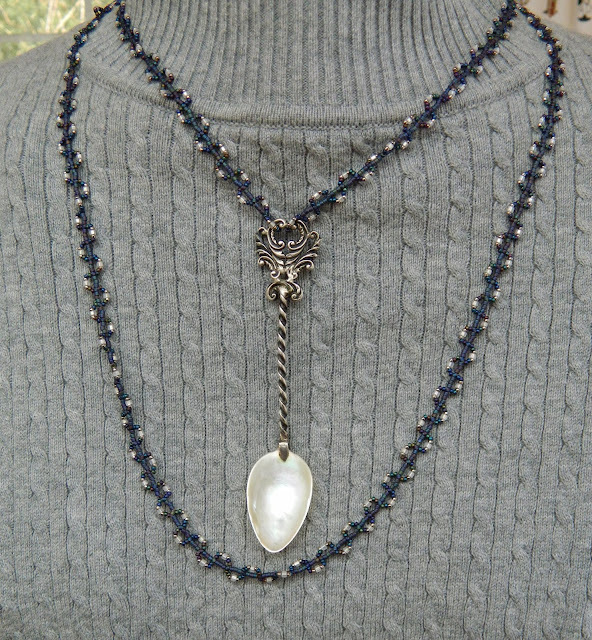 Here is a dainty little necklace I just finished in time for today. I snapped a quickie before my day gets ahead of me and I never get this posted. I need to get back to my real camera for blog photos. It will never be my strong point, but I can give a little more than the cell phone photos. 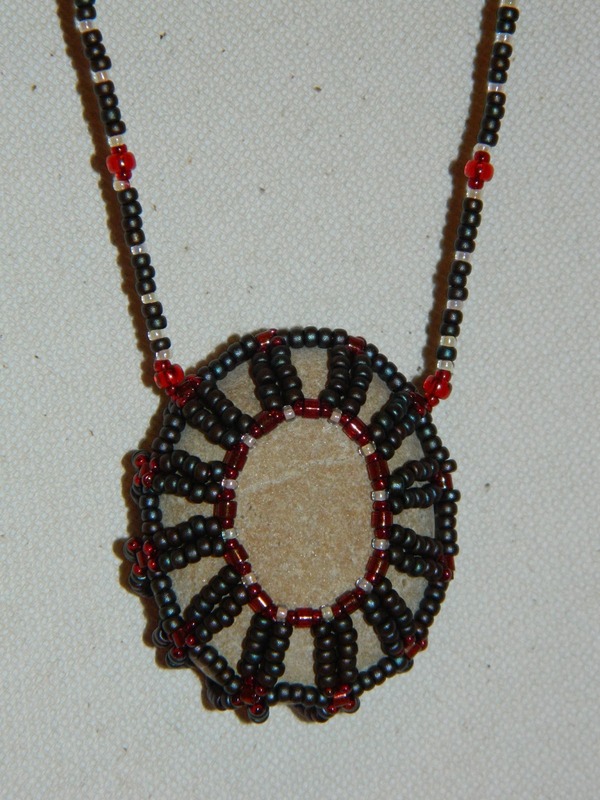 And the flip side, which I think I like better. I had no intention of doing a rock today. 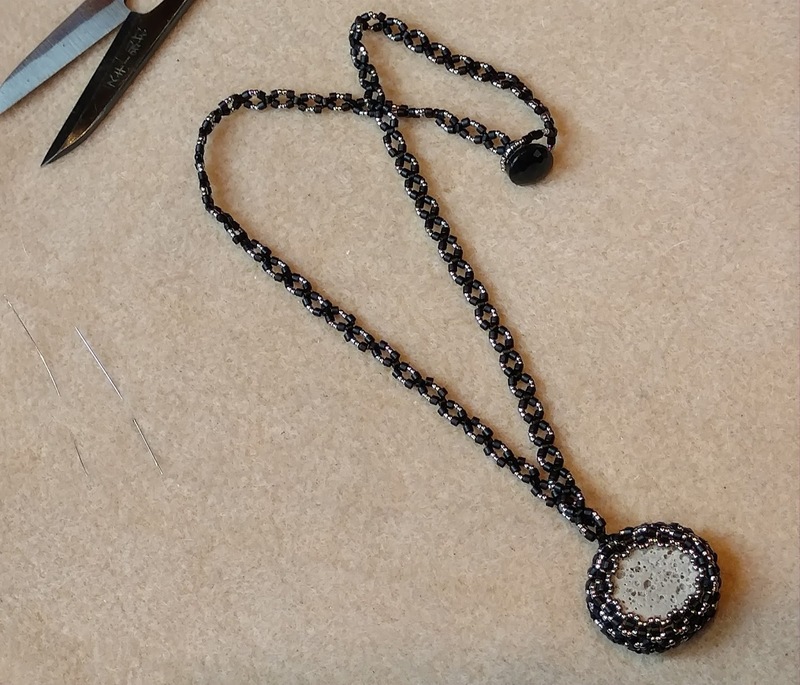 I was just messing around with beaded chain ideas. I got about an inch into this chain and thought it would made a good base of a bezel. 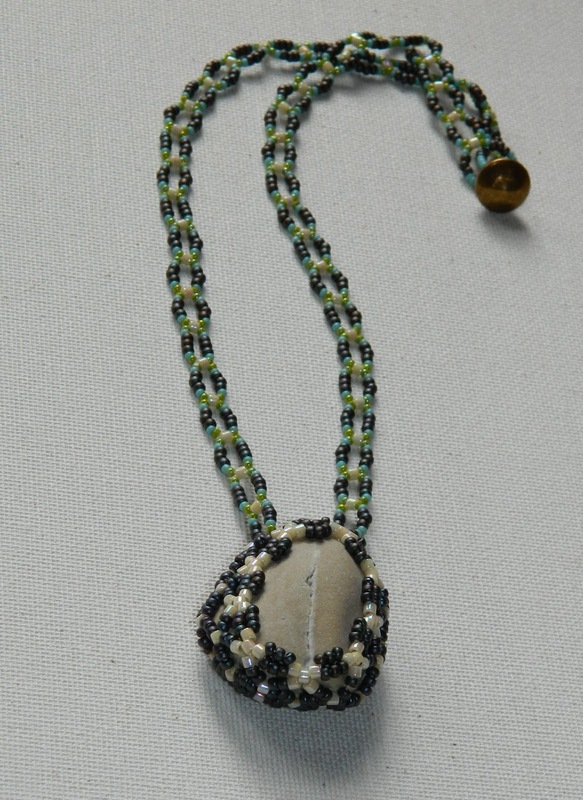 I grabbed a rock, wrapped the little piece of beaded chain around it and I was right! 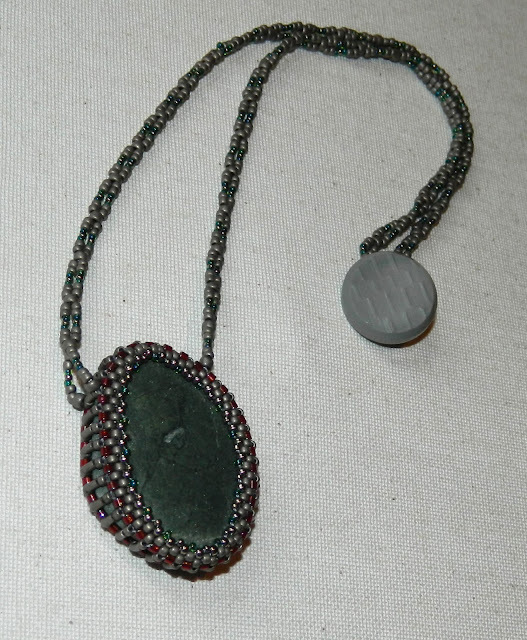 It is pretty much a square stitch chain and has enough give for cabs/rocks that are not perfectly round/oval. I will certainly use it again. Maybe I'll be back next Wednesday ~ sure hope so! Let’s Talk Earring Wires,…Shall We? 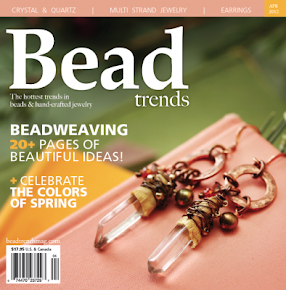 See my earrings in This Issue!